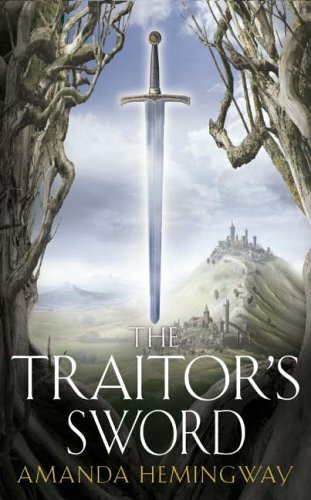 The second part of the captivating Sangreal trilogy from the author of `Prospero's Children.' The albino Bartlemy Goodman is approximately 1500 years old; born in Byzantium during the decline of the Roman Empire he now resides in the village of Thornyhill, England with his dog, Hoover. Bartlemy is one of the Gifted. But long experience has taught him the perils of the power of the witch-kind and so throughout the ages has channelled his considerable talents into cooking, his culinary prowess becoming the stuff of legend: he worked for the Borgias, and was among the first to discover chocolate. When a young homeless woman holding a baby turns up on Bartlemy's doorstep, he senses destiny at work. The woman's name is Annie Ward and her son, Nathan, is an exceptional child as Annie cannot account for his conception. Soon Bartlemy comes to believe that the boy was created beyond the Gate of Death by a superior being for a special purpose - one that may threaten all of witch-kind - and that it is his job to protect him. Whilst Nathan grows, strange occurrences begin to plague the village. The Thorn family, who gave their name to the village and have lived close by since pre-Christian times, were once the guardians of a strange cup of greenish stone, set with jewels. When it was sold to a Jewish collector in Austria by the black sheep of the family, who absconded with it in the 1920's, the family's fortune soon disappeared in turn. Rumoured to have been stolen by the Nazis during the war, it has now turned up at Sotheby's and Bartlemy joins his friend, Rowena Thorn, the last of the Thorns, who is determined to get it back by proving the original sale false. But the matter becomes complicated and sinister when Nathan discovers the body of the Austrian owner in the wood nearby and begins to experience disturbing visions involving the cup itself.